My Prayers go out to Boston and everyone who was effected by this tragedy. 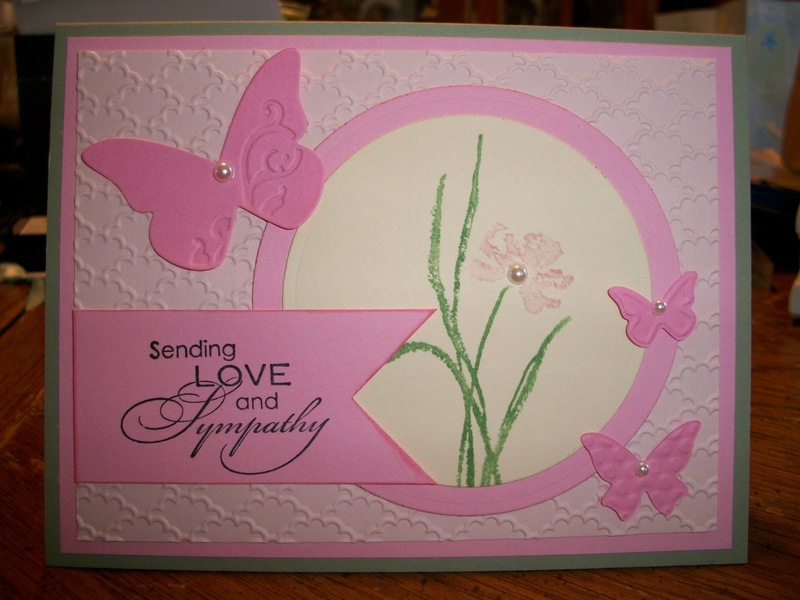 Here is a card I made for a friend who lost his wife this week. Oh how beautiful Sarah!! I love that embossing folder from Stampin' Up! I need to use it more:) Thank you for stopping by today and your lovely comment! !